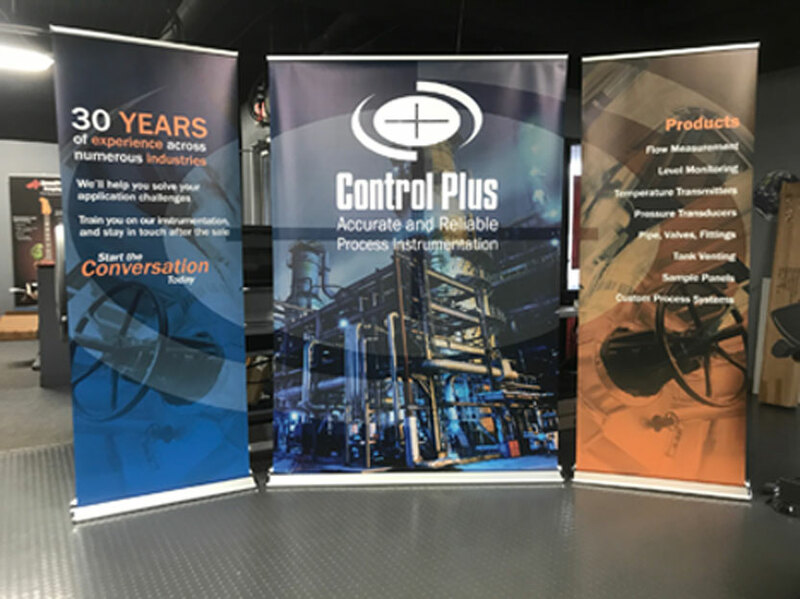 Custom retractable banners are a distinctive branding element for any business, and SpeedPro Imaging DuPage can provide them for you in a quick and efficient manner. We’ve been helping businesses in the western suburbs of Chicago for nearly a decade, so the work we’ve produced has reached millions of people over the years. 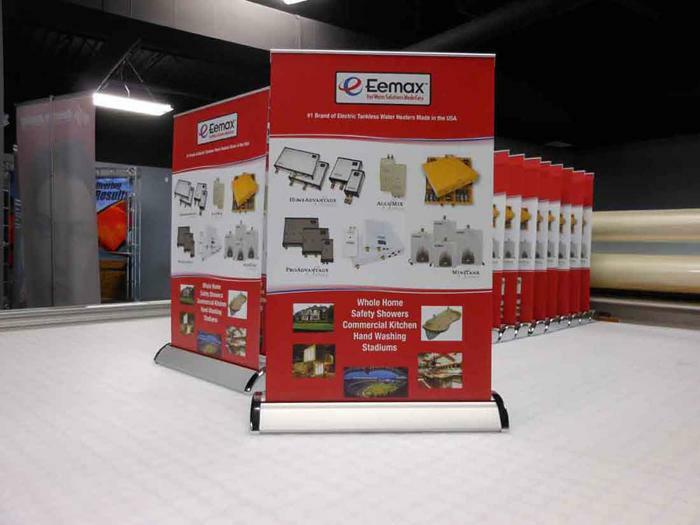 With our state-of-the-art printing technology and industry-leading materials, you’ll receive custom retractable banners that are durable, vivid and impactful, drawing customers in wherever you go. Our retractable stands bring with them a versatility that’s rivaled by few other products. 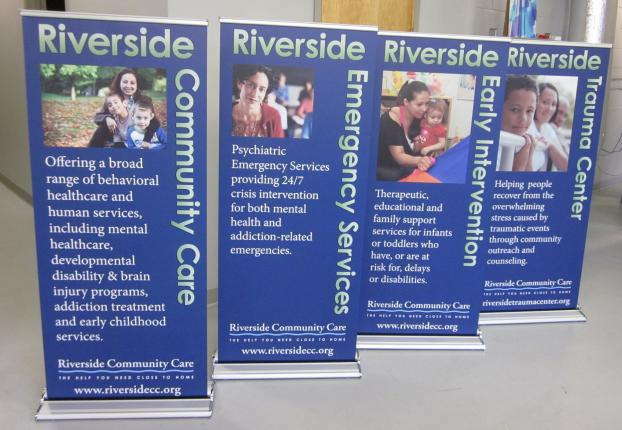 Whether you need them for the lobby of a medical practice or bank or for trade shows and expos, they can provide a huge boon to your marketing strategy. We’ll discuss your needs extensively during our first meeting, and from there, we’ll walk you through our process and the extensive list of products we offer. No matter what you’re looking to accomplish, we’ll try our best to fulfill your requests and provide you with an ideal set of graphics. We offer a range of styles, internal mechanisms, carrying bags and metal gauges to suit any set of requirements. In terms of style, you can choose from retractable, telescopic and spring-back, which all afford their own sets of advantages. The models we offer include economy, standard and premium. Models vary in specifications, which is helpful so that you can choose depending on the situation. Economy models are good to use if you need a high quantity, as they’re more affordable and still attention-grabbing. That said, they’re more suitable for one-time use, like for events, due to how they’re constructed. Heavy travel might not be the best option. Conversely, premium models are built with the strongest metal gauges and internal mechanisms, so they can withstand heavy usage. If you go on the road a dozen times a year, you can rely on these stands to get the job done. No matter what, the stands you choose will be lightweight, portable and easy to convert in a short timeframe! 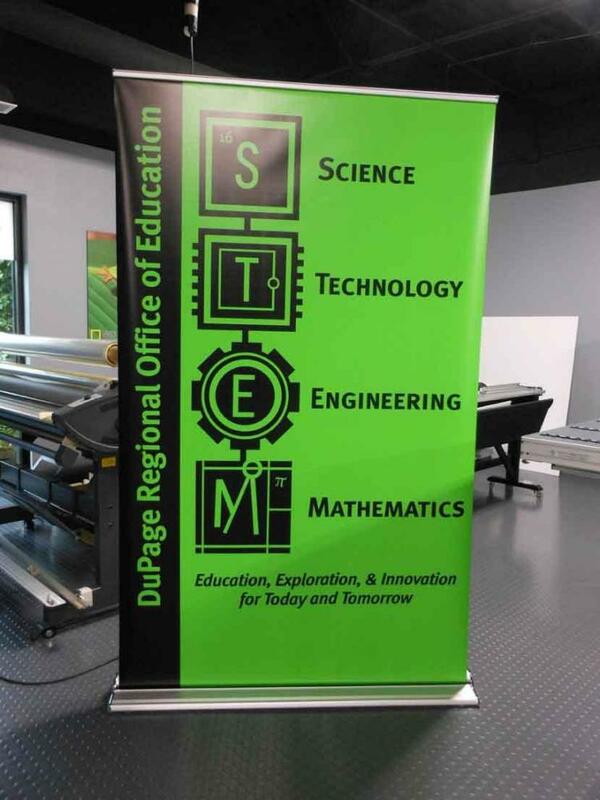 The banners themselves can be crafted in a variety of sizes and materials, but what will remain consistent is the high-resolution images they display. We also use a variety of long-life inks to ensure their vibrancy, as they hold color wonderfully for extended periods of time. If you’re worried about the banners matching your existing elements, there’s no need to fear. With the color-matching practices we utilize, your new products will sync up seamlessly with your entire branding ensemble. We serve the entirety of DuPage County, including but not limited to the communities of Lombard, Downers Grove, Lisle, Oak Brook and Naperville. 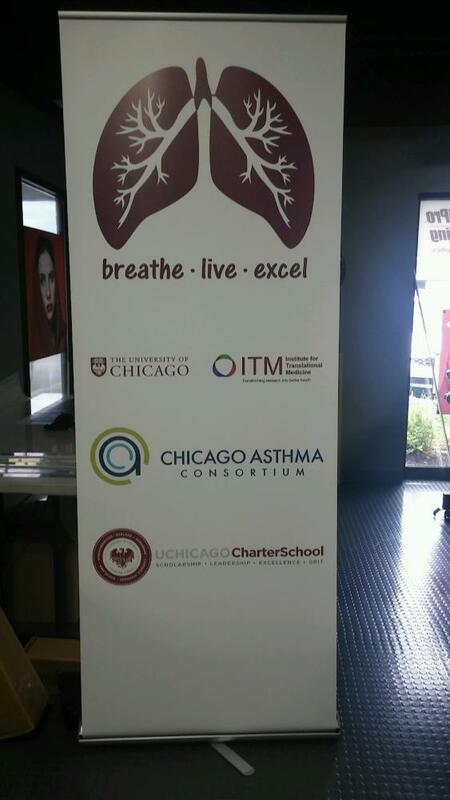 If you’re ready to promote your brand with retractable banner stands, contact our studio today to schedule your consultation! You can also visit our studio, which is located in Lombard, off Finley Road, near the Butterfield Road exit of Interstate 355.